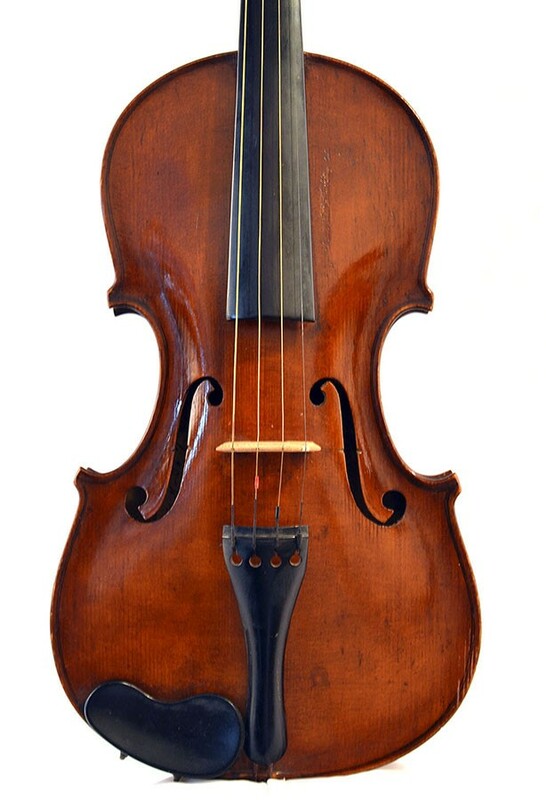 Italian violin by Vittorio Mutti in Catiglione made in 1940 . 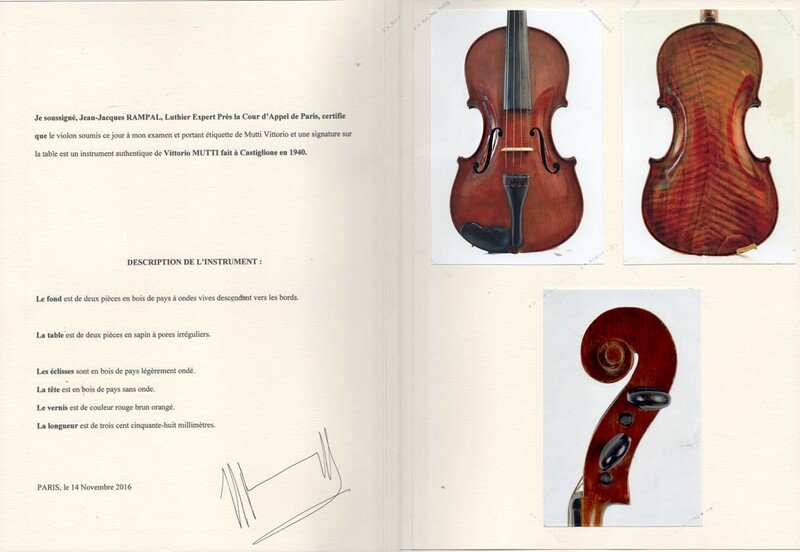 A beautiful and authentic 4/4 Italian CERTIFIED violin made by the famous Vittorio Mutti in Catiglione made in 1940 . 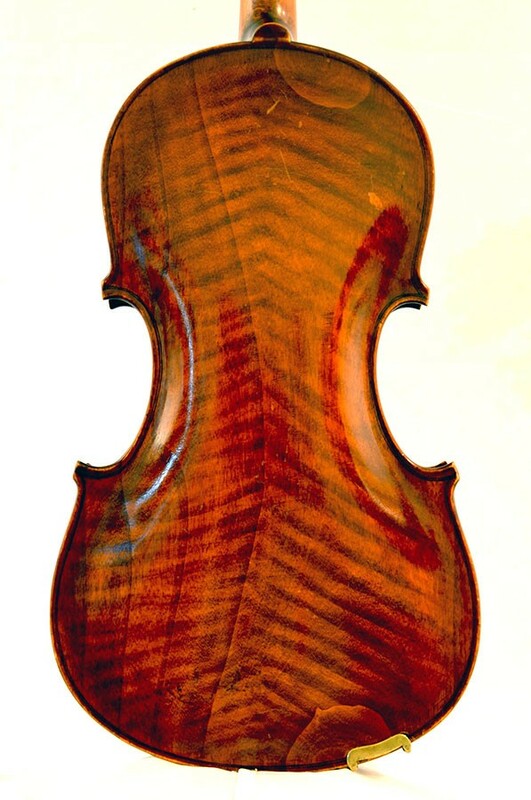 Beautifull choice of selected woods : fine two-piece flamed back. 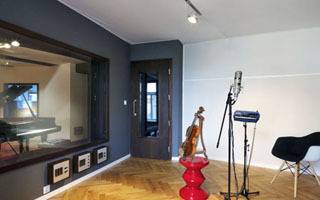 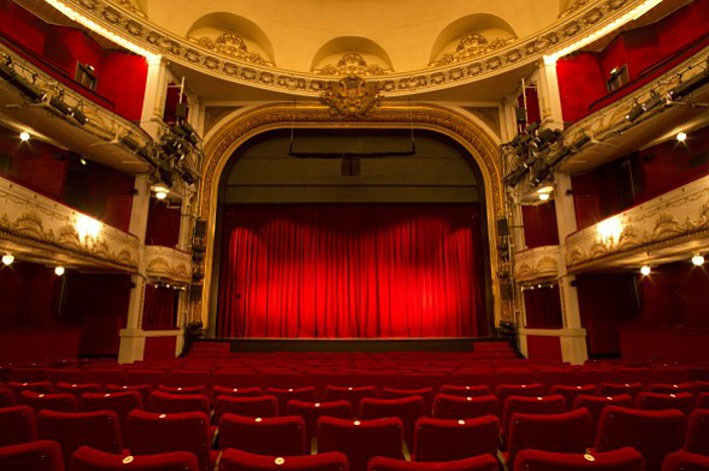 Typical model with double bass bar. 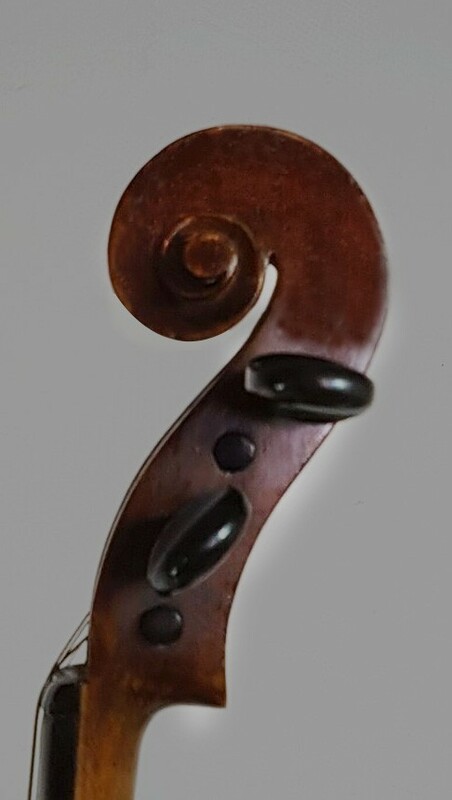 Original varnish - brown/orange in good condition. 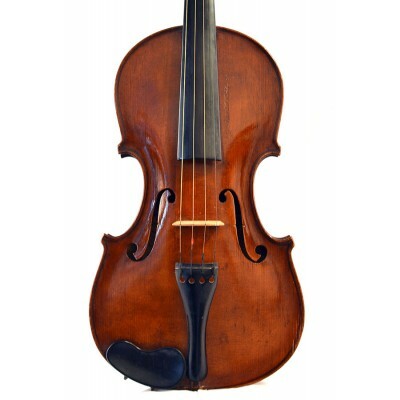 This violin comes with a new set of strings and a new chinrest and tailpiece. 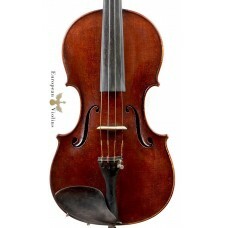 This violin produces a good strong sound, a full singing open, but warm tone. Size back : 358 mm (4/4). This old Italian violin, made by Vittorio Mutti has a full, strong and warm tonal timbre.